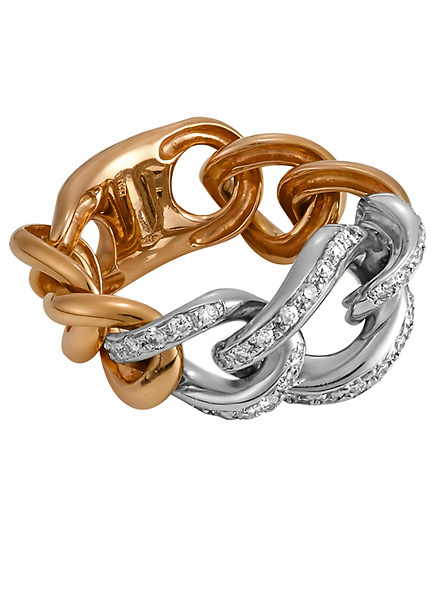 The links of this chain ring echo the Christian Dior Groumette design. Moving links ensure a snug fit. This allows the diamonds to shimmer and catch the light as the interlocking chains move as your hand moves. A perfect representation of New Age Jewellery in Motion.